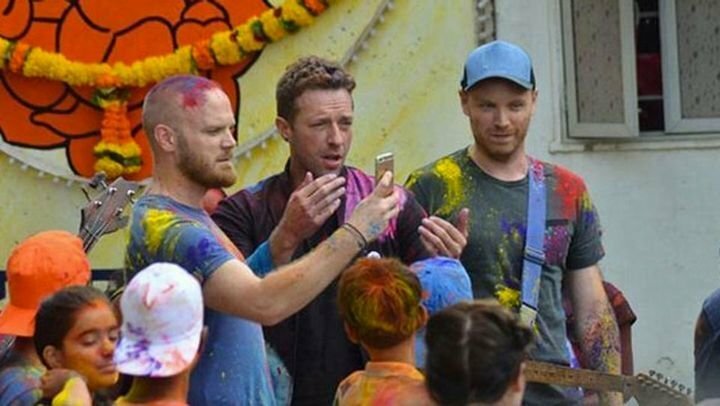 The other day, there was news about how Coldplay were shooting their latest music sensation , ' A Head Full Of Dreams' drenched in holi colours with children of Dharavi in Mumbai. This Aussie pop star shot her hip hop track in desi style. Shot in the streets of Mumbai, and with the sensational jhatkas , this track is as Bollywood as it gets. Shot on the beaches of Goa, this video has a very refreshing feel to it. This song by the popular English band got featured on VH1's top 40 music videos. Pioneers of the 'Nu Metal' genre that broke out in the 2000s, this international band portrayed the streets of India and the common people in a truly rocking fashion. Although this video of John Lennon chanting " Jai Gurudeva Om" is not an official one, we can consider it for its strong Indian ties. The rock and roll legends left for India right after the song was written. Featuring people from the world over, this music video portrays India in certain parts. The roads, the buildings and the local people are seen jiving to the beats. Neyo's vocals surely have made a winner of this song. Featured as No. 2 on the UK singles list, the song has also been nominated for Best Dance Recording at the 55th Grammy's to be held this year. Shot in the western parts of India and Africa, the video delightfully portrays the different dance traditions of the two locales. The English artist of Sri Lankan origin has once again, in her diverse style, recently presented a new project called Matahdatah that features this song. This video by the eccentric trance group is a compilation of videos from their performances in India. The track has strong Indian influences and truly shows the group's love for destinations like Goa. This video also shows what wild parties can look like! The two-time Grammy nominee singer and songwriter joined forces with the Indian duo for this song from her fourth studio album Sparks . Imogen was game for the idea as soon as she heard the song was to be shot in Jaipur. The track has an Indian feel, portraying the pink city in all its beauty. Not only a tourist, but also a destination for music - Incredible India!